The revised Mercedes-Benz C-Class Coupe now comes with mild hybrid… or must it be called EQ Boost? It’s nip and tuck time for the Mercedes-Benz C-Class Coupe, hence some visual and technical changes to keep in fresh again after selling for three years in its current generation. 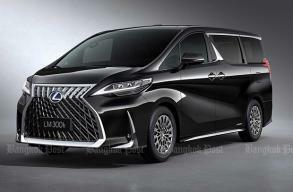 Cosmetic alterations are on the minor side including new bumper, grille and wheel design, plus restyled LED lights. As Mercedes is making significant strides in interior electronics, the C-Class Coupe comes with larger infotainment screen, digital instrument panel and new steering wheel with touch-sensitive buttons. The bigger news come under the bonnet. 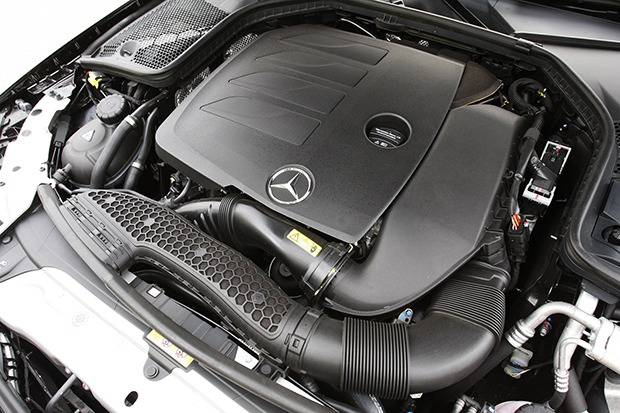 The C200 features a new 1.5-litre petrol-turbo engine coupled with 48V mild hybrid. The electrical system can recuperate energy lost from braking and use it where necessary or provide 12hp of additional power. 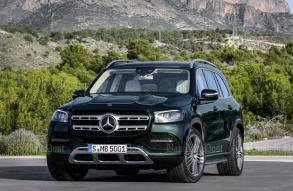 Hence, the EQ Boost moniker Mercedes is communicating. 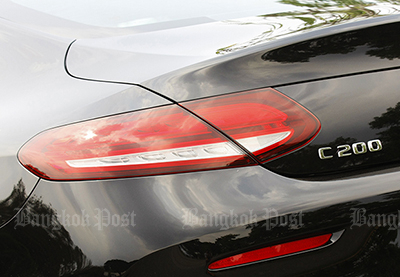 In Thailand, the C200 effectively supersedes the pre-facelift C250, which came with a non-electrified 211hp 2.0-litre petrol-turbo. 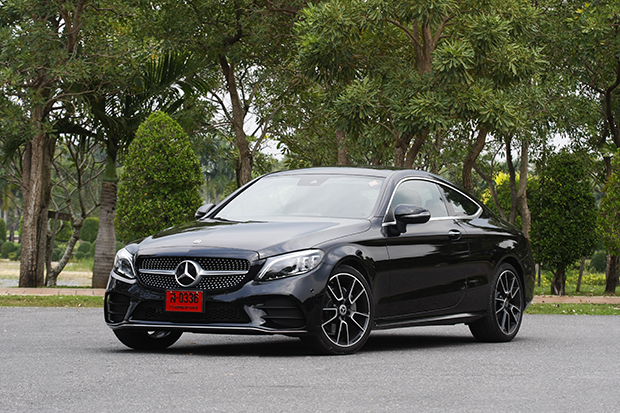 When specced in the same AMG Dynamic trim, the 3.45 million baht C200 is around 350k cheaper than the outgoing C250. Is the C200 a perfect entry-level coupe? Just a facelift this may be, but the C-Class Coupe remains a nice-looking choice in its class to cope with Audi’s relatively new A5 Coupe and BMW’s aging 4 Series Coupe. The current C-Class family was the first to usher Mercedes’ latest interior design featuring curvaceous lines and great tactile quality. That also stays intact, now made better with more electrical functions that are both easy on the eyes and to use. The idea of that so-called EQ Boost is to “fill the gaps” left void when the turbo isn’t in full action yet. And yes, it works well especially in city-driving where electrical oomph (displayed on the instrument panel) neatly comes into play at under 2,000rpm. Apart from being effortless to move around in urban traffic, the internal combustion motor comes to life almost imperceptibly after the automatic engine-stop says it has enough. And despite a lower power output, the C200 feels virtually as energetic as the C250 when driven on the highway. 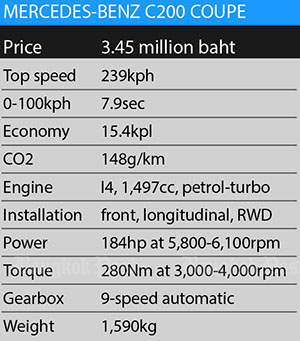 In car speak, it’s quite a good engine-downsizing exercise. While this particular Merc remains a reasonably good car to steer nearly matching the Bimmer, it has an occasionally inconsistent secondary ride quality. 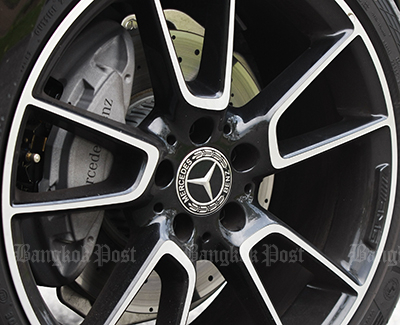 Blame could be put on those low-profile tyres rimmed on (nice-looking) 19-inch wheels whereby they either absorb bumps amply or crash over broken road surfaces. You can also feel and hear those rubbers too much over road expansion joints. 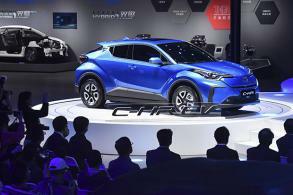 But a point worth more debating is the mild hybrid that is eager to shut down the engine when approaching standstill yet does so for unusually short periods of time (by standards of conventional stop/start systems). In fact, we never achieved double-digit economy figures in town and hardly attained the rather optimistic 15kpl or so rating of the C200. No wonder Mercedes insists on EQ Boost rather than mild hybrid, a common terminology used by other makers. But again, EQ Boost doesn’t seem to always work enough higher up the engine speed range whereby some lethargy can be found between 2,500-3,000rpm. Broadly speaking, the C200’s entire drivetrain is here to stay especially as an entry-level model, although there appears to be some room for perfecting it when it comes to linearity of driving performance (and possibly fuel frugality). But the C200’s price saving over the C250 feels more than worthwhile for it can deliver enough outright performance (it’s 1.1sec slower from 0-100kph, at 7.9sec). If a Merc isn’t a must, potential competitors should be weighed in because some of them do have highlights coming in different ways.